A smart speaker may not always be the best fit with your home decor. There are some things you can do to try to disguise it, but if you can’t find the counter space or a spot on a bookshelf that you like for it, an alternative might be to bolt it directly to the wall. With dozens of aftermarket options for wall- or ceiling-mounting your Alexa speaker, there’s no shortage of ways to get your Amazon Echo up off the shelf and out into the open. Much like TV wall-mount kits, most mounting kits for the Echo and Echo Dot come with all the hardware you need to install them. Choosing one really comes down to personal preference in design — how tightly to the wall the speaker is fixed, how the bracket itself looks and what materials it’s made of. I chose the HideIt Echo Wall Mount as the mount itself is discreet. Other models aren’t limited to just holding the Echo, however. They can also hold other cylindrical speakers, such as the UE Boom. If you want to attach the speaker mount to a stud for extra security, you’ll also need a stud finder. Start by finding an appropriate location for your Echo. Remember that a centralized location is best and it will be more difficult to relocate it once it’s in place. So make certain you know where you want to mount it before you begin drilling. Also consider that mounting the Echo to the wall goes against the recommended use. Amazon suggests keeping the speaker about 8 inches from any wall. Mounting it, obviously, will keep the Echo permanently 2 inches or less from the wall, which might make it harder for Alexa to hear you. Be sure to first have someone hold the speaker in the bracket where you want to mount it to the wall and test its responsiveness from several spots around the room. 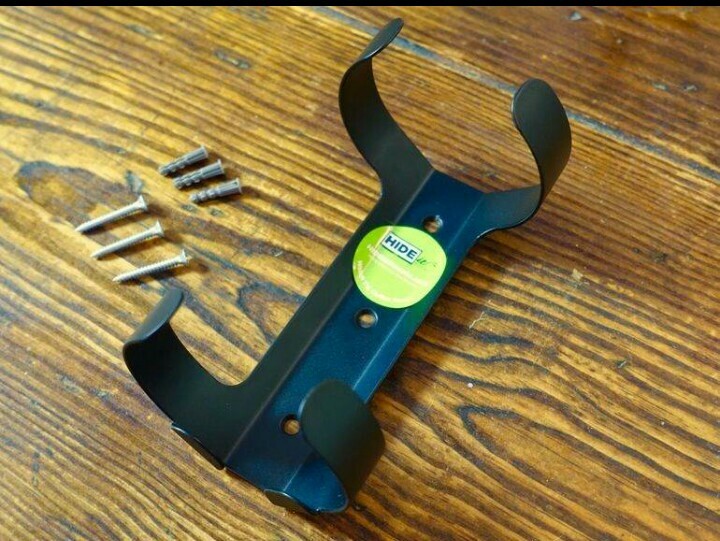 Hold the empty bracket up to the wall in the position you want to mount it. Use a level to ensure the bracket is straight. Use a pencil to mark the position of the drill holes. Remove the bracket from the wall and, using the recommended drill bit size for your mount kit, drill a pilot hole into the sheetrock at each marked spot. Push the sheetrock anchor into each hole. If you’re mounting directly to a stud, drilling pilot holes isn’t necessary. Line up the bracket on the wall with the sheetrock anchors or drill marks and, using a drill, screw the included screws into the sheetrock anchors or the marked spots. Your Echo should slide right into the bracket. Plug it in, let it boot and you can resume using it how you’re used to. With the Echo up off a counter top or table, it will be more difficult for obstructions (other than the wall, of course) to pile up around it. It also means you can get a little more creative with where you put the Echo in your home. You can position it between two common areas and, potentially, double its range or usefulness. Best of all, it can serve as a sort of showcase for one of the coolest gadgets in your home. That said, you may have to find a clever way to hide the power cable. Previous Previous post: Will 2017 be the year we hail a flying Uber?